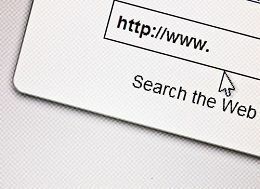 When you need to find out what time a movie is playing, where you should go for dinner, or where the nearest car repair service is, you don’t look it up online—you “Google it.” The search engine has become a household name for a reason: it has been the most popular search engine for many years running, and continually offers changes to keep users and services connected with a single click. But now, Google may face penalties for pointing customers in the wrong direction—namely, its own front door. Changing search algorithms. Google usually ranks sites based on click rates (how often users click on the site’s link in search results), how many other pages have shared a link to the site, and other neutral measurements. However, a former Google vice president admitted that Google dropped the use of click-through rates when ranking its own specialty search returns, since its sites would rank too low. By changing the criteria, Google’s altered results were boosted to the top of the page, despite containing less information and lower usability than other vendors. “Scraping” search content. In addition to boosting its own results, Google allegedly took another step to edge out its competitors: copying their content. Google’s relatively new local results page is designed to give priority to businesses with Google+ listings, while demoting results from other sites. Representatives from rival engines complained to the FTC investigation that Google used other sites’ data, such as customer feedback, reviews, and ratings, to add weight to Google’s sparse local listings. Avoiding antitrust. While Google returned its own results higher than those of rival comparison-shopping services (such as TripAdvisor, Expedia, and Yelp), the Google sites offered fewer options and had lower user rates. Google’s low stake in the comparison-shopping market could make it difficult for rival sites to win antitrust claims, as rivals currently enjoy higher profits—even if the methods are in Google’s favor. What does this mean for you as a business owner? For one thing, it means that you should have your business information listed in as many online media forums as you can to allow potential customers to find you. The more you integrate with other platforms, the more weight your firm will have online. If you need help developing an SEO strategy, call 866-460-3724 or shoot us an email to find out how we can make sure your customers don’t get lost on their way to you.